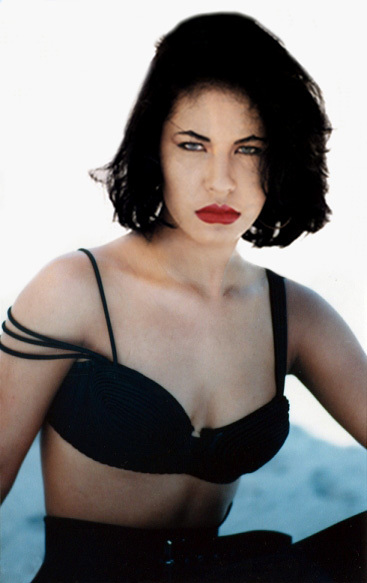 Selena ♥.. . Wallpaper and background images in the Selena Quintanilla-Pérez club tagged: biography selena vive beautiful and young quintanilla perez. This Selena Quintanilla-Pérez photo might contain brassiere, bra, bandeau, attractiveness, appeal, hotness, and uplift.